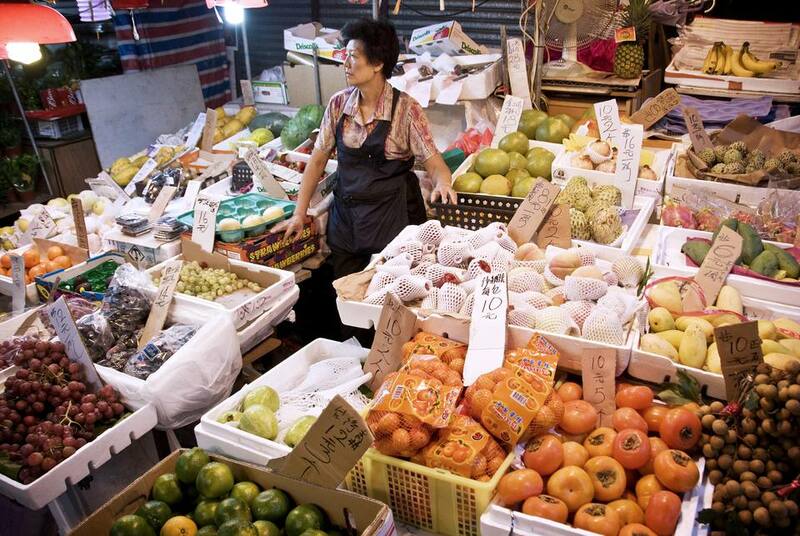 Whether you need some apples and pears, want to see what a star fruit looks like or just need to pick up a fresh chicken or three, the wet markets of Hong Kong remain the best place to pick up fresh produce and meat. Set in the heart of districts around the city wet markets are still where many Hong Kong residents still do their food shopping. You’ll find most wet markets have moved from their traditional location on the street and are now bunkered down in ugly concrete carbuncles that look more like a car park than a market. Inside is pure bedlam. Dozens of independent market stalls line the walls, while fish splash around on butchers blocks and keen-eyed patrons pluck the choicest chickens from their cage. You’ll also find an endless selection of fresh fruit and veg and stalls bursting with colorful flowers. Most of the meat, especially poultry and fish, is sold live and often butchered on the spot and wet markets aren’t for the faint of heart. Most stall holders won’t speak English but you will always find someone who can lend a hand in translating and many signs inside will be in English. Prices are usually cheaper than the supermarkets and you may get a good deal on a pound of apples or a lobster when the markets close around 7 pm. Brilliantly opening times are erratic and every changing. By far the most atmospheric wet market in Hong Kong, the stalls on Graham Street in Central have been operating since before the turn of the last century and it’s one of the few markets still set on the street. Watch as buckets of ice are swilled down the street, market traders try and career tumbling baskets of fruit up the hill and tourists snap everything in sight with their camera. Not a typical Hong Kong wet market but one of the best and your best opportunity to be understood in English. The biggest wet market in the city and a regular stop for many of the city’s better chefs who like to pick up choice cuts of meat here, the Kowloon City market is a warren of alleys that run between stacks of fruit and wobbling tanks packed with seafood. Apart from the fine selection of butchers and grocers, this is also a fantastic place to get some cheap but excellent Chinese food. You don’t need fine dining to get first-class Cantonese food—it’s all about freshness and it doesn’t come much fresher than straight from the wet market. The food stalls here are set around a communal set of mismatched tables where you’ll rub elbows with stall holders and businessmen on a break. The food is excellent, cheap and is served in a flash. One of the more famous Hong Kong street markets both because it still runs on street level and its immigrant connections. North Point has long been home to immigrants from China and is still nicknamed Little Shanghai. The Shanghainese influence has waned and been replaced with a wider range of diverse cultures and cuisines, especially Fujian. The area’s far-flung connections mean the selection of foods, spices are a little more interesting.